Source: courtesy of the author. 856 CE, Ireland is a land of myth, magic, and blood. Viking raiders have fought the Irish for over half a century. 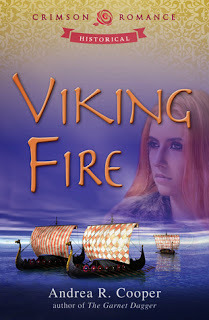 Rival Irish clans promise only betrayal and carnage.Kaireen, daughter of Laird Liannon, is suddenly forced into an arranged marriage with her sworn enemy, a Viking. She refuses to submit. With no mention of love, only land and the protection of her clan, she endeavors to get her betrothed banished from her country. Will love find its way around her stubborn heart? Bram, the Viking, finds himself without future or inheritance as a younger son in his family. A marriage to the Laird’s daughter would grant him land if he swears fidelity and if his men will fight along with the Liannons against any foe—Irish or Viking. However, the Laird’s feisty daughter only holds animosity for him and his kind. Is marriage worth the battle scars of such a relentless opponent?With the blame for a rival laird’s death treacherously set against the Liannons, Kaireen and Bram must find a way to lay aside their differences as an unforeseen darkness sends death snapping at their heels. While I am mainly a contemporary genre reader, I do like a historical novel thrown in once in awhile - and I am always enticed by Vikings and the early Irish. I enjoyed this story, it has plenty of action and there was no uninteresting spot where nothing was happening. The plot moved along at a good pace. 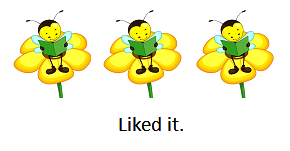 That said, I would have liked to see the book lengthened and time given to more character development and interaction. I am thinking here of the tension that for example Johanna Lindsey builds into her books about Vikings. Fires of Winter I loved. Bram was a hero that the main lady - Kaireen should have fallen for immediately! She didn't, and obstinately refused for most of the story to consider him. However when she did fall for him, it was with total commitment. I found the whole family relationship dynamic interesting, and couldn't imagine a mother and father who imposed such punishments on their daughter. She was obviously well versed in the art of war and could handle herself well in any battle, but not so well in the domestic aspects of living. Perhaps they wanted to ready her for her own household, and it also would have hopefully instilled some compassion and care for her servants when she sets up her new household. I really liked the way Elva was written into the story - she is Kaireen's handmaid, and as the book develops she becomes one of the most interesting characters. She plays a very satisfying part in Viking Fire.